Yesterday's Person-of-Mystery was Eadweard Muybridge, a man whose life was full of genius, artistry, passion, adventure, murder, bitterness, curiosity, and betrayal – a flamboyant character that one contemporary described as "Walt Whitman ready to play King Lear." 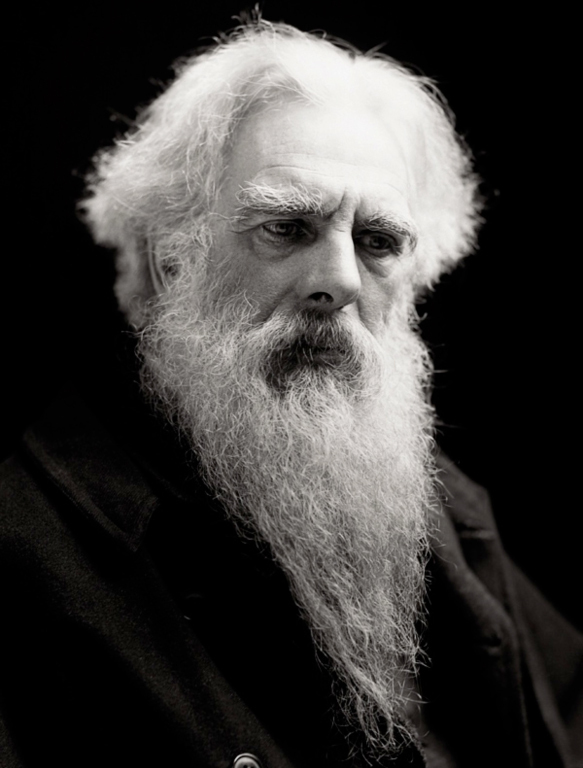 Muybridge was born Edward Muggeridge, in Kingston upon Thames (in Southwest London), in 1830. Over the course of his life, he changed the spelling of his name several times, eventually settling on Eadweard Muybridge. In 1855, Muybridge immigrated to San Francisco, where he worked as a bookseller, but in 1860, he suffered a terrible head injury during a fall from a stagecoach. For four days he lay in a coma and then for three months after awaking, he had double vision and could not smell, taste, or hear. 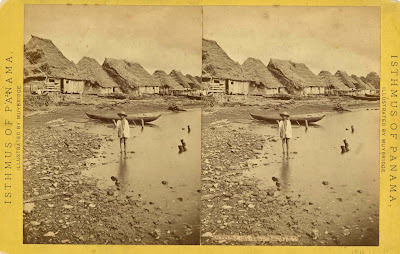 He returned to England between 1861 and 1866, during which time he learned photography. Returning to San Francisco he began a new career as a photographer and quickly gained a reputation for his landscape photographs. Often using the pseudonym "Helios," Muybridge was one of the earliest photographers of Yosemite Valley (although much of his work were recreations of Carleton Watkins' slightly earlier photos) and these images would win Muybridge the gold medal at the Vienna exhibition in 1873. 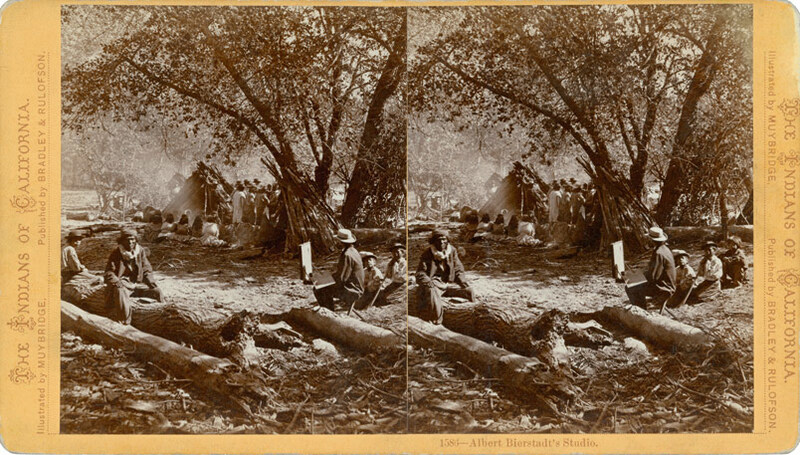 Muybridge was served as the photographer of record for the US Army during the Modoc War. The early 1870s would be a pivotal time in Muybridge's life and career. In 1871, he met and married Flora Downs Shallcross, a 21 year old divorcee, and a former photography assistant. Early the next year, he made the acquaintance of Leland Stanford, when he came to take photographs of his mansion. Stanford was the wealthy former president of the Central Pacific Railroad, and former Governor of California, who had developed a keen interest in horse racing. At the time, one of the most contentious issues of the day was if a galloping horse ever had all four legs off the ground at once. 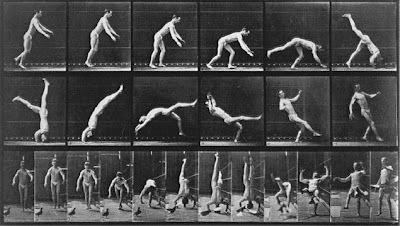 Stanford took the position that the legs did leave the ground and hired Muybridge to try and prove it with his photography. 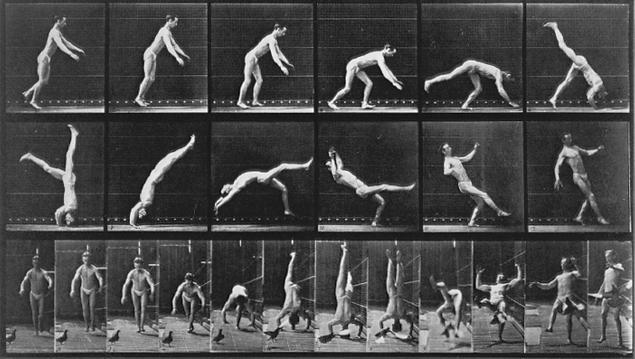 Muybridge told Stanford, it couldn't be done (photography of the day required a typical 15 to 60 second minimum exposure), but Stanford believed that with enough money and effort, Muybridge could accomplish the task, a task that unbeknownst to either would eventually require five years and $50,000. Stanford became both friend and benefactor to Muybridge with Muybridge coming up with ideas and bouncing them off Stanford and Stanford directing Muybridge to try different approaches. 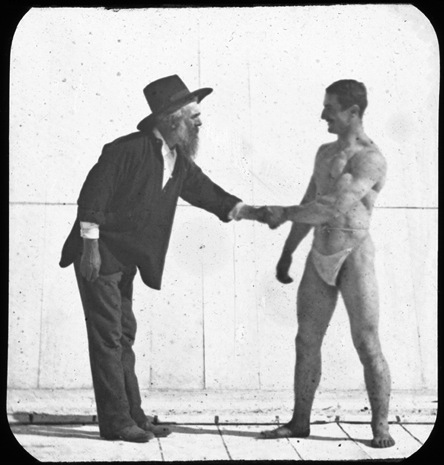 Muybridge was one of the few people who could call on Stanford unannounced and receive an immediate audience. There were a number of setbacks in the equine research, apart from the technical aspects (which were daunting), was the birth of a son in April of 1874, Floredo Helios Muybridge. Around the time of the birth, Mrs. Muybridge had formed an acquaintance with a certain Major Harry Larkyns, an English adventurer of sorts who had spent considerable time in Australia. By all accounts, Larkyns was young, dashing, charming, the opposite of Flora's mature and business-like husband. Becoming suspicious of Larkyns' friendship, Muybridge sent his wife and son to stay with Flora's mother in Portland, Oregon. Within a short time, Eadweard received devastating news. A female friend of Flora's came by Muybridge's studio and gave him some letters that Flora had mailed to her with the intent of her friend delivering the enclosed notes to Larkyns. Naturally, Muybridge was sad and angry. However, the crushing blow came when the same lady returned a couple weeks later with a new note. This one contained a photo of his son which Flora had captioned, "Little Harry." Muybridge openly wailed and wept and then collapsed in grief. Larkyns was at the time working at the Yellow Jacket Mine where he was employed making a map of the Calistoga Mining District. Muybridge took a train and wagon to Napa County where he arrived on the evening of October 18, 1874. He proceeded to the hotel and called for Larkyns. When Larkyns came down the hallway towards the front door, Larkyns approached him and said, "I have brought a message from my wife, take it!" With those words he pulled a pistol on Larkyns and fired a shot through his heart dropping him instantly. 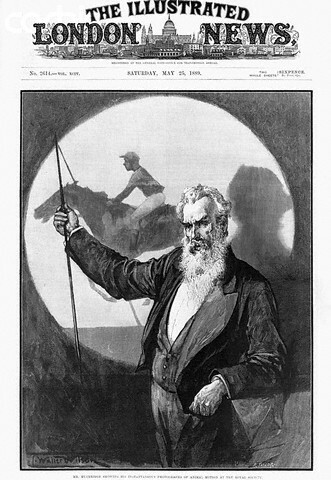 Muybridge was arrested and thrown in jail. 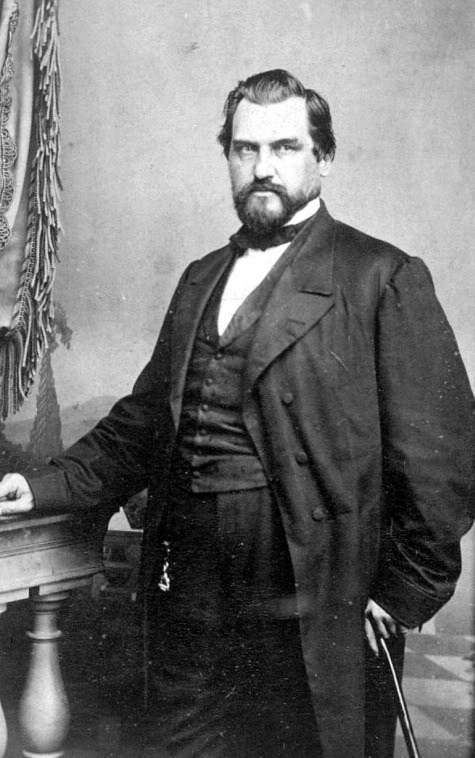 Hearing the news, his friend Leland Stanford organized and payed for Eadweard's defense. His lawyers claimed that the injury Muybridge had received in the 1860 fall from the stagecoach had damaged his brain (proved by his altered demeanor since the fall). Flora's clear betrayal had been too much for his weakened brain to endure. The jury eventually tossed out the insanity defense, but ruled it justifiable homicide and declared Muybridge not guilty. 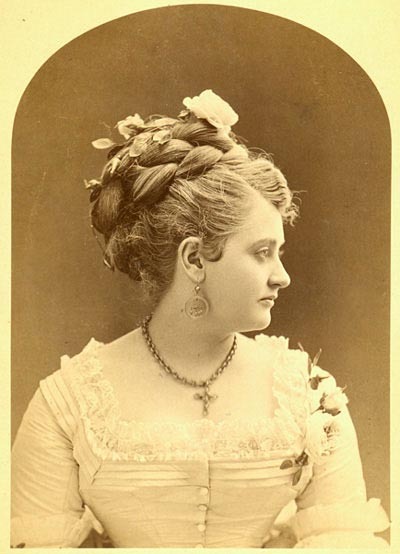 After the acquittal, Flora sued for divorce, but died of typhoid fever before the divorce case could be heard. 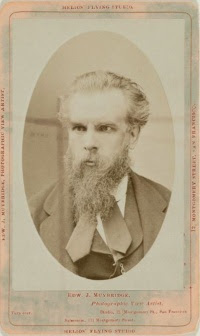 Muybridge, believing his son was not his own disowned him and placed him in an orphanage. Perhaps tragically, in later years, many would remark on how Floredo bore an uncanny resemblance to his father Eadweard. 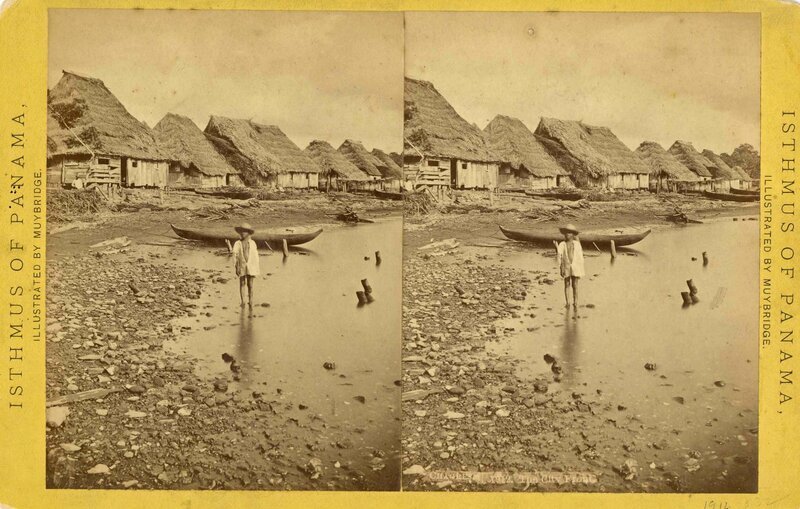 In an attempt to put the whole affair behind him, Eadweard took off on a photographic excursion of Latin America. 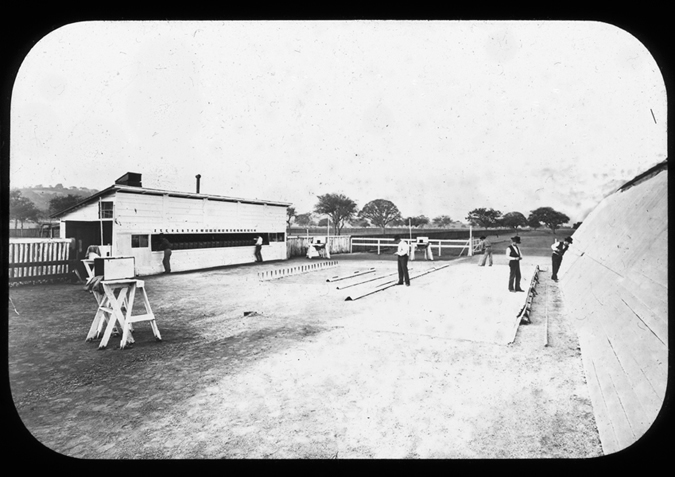 When he returned, Muybridge again set out to try and confirm Stanford's gait theory. In late 1877, Muybridge was able to capture a photo of a horse with all legs airborne at Sacramento's Union Park racetrack, proving Stanford's theory. In 1878, Stanford invited the press to the Palo Alto Stock Farm, where Muybridge had rigged a series of cameras to wires set to expose Stanford's horse as it would break the tripwires. The 21 cameras were positioned opposite a white canvas at a 20° angle marked with lines to show horizontal and vertical positioning. The series of images was an immediate sensation. Stanford was hailed as the man with the idea and Muybridge as the man who transformed Stanford's ideas into reality. Soon, Muybridge took his photo sequences and applied them to a common toy called a zoetrope. A zoetrope was a spinning disk with different drawn images creating the illusion of movement for one person. Muybridge took his photos and had them applied to a glass plate that was then spun behind a projector allowing his photographs to be shown to a large audience. 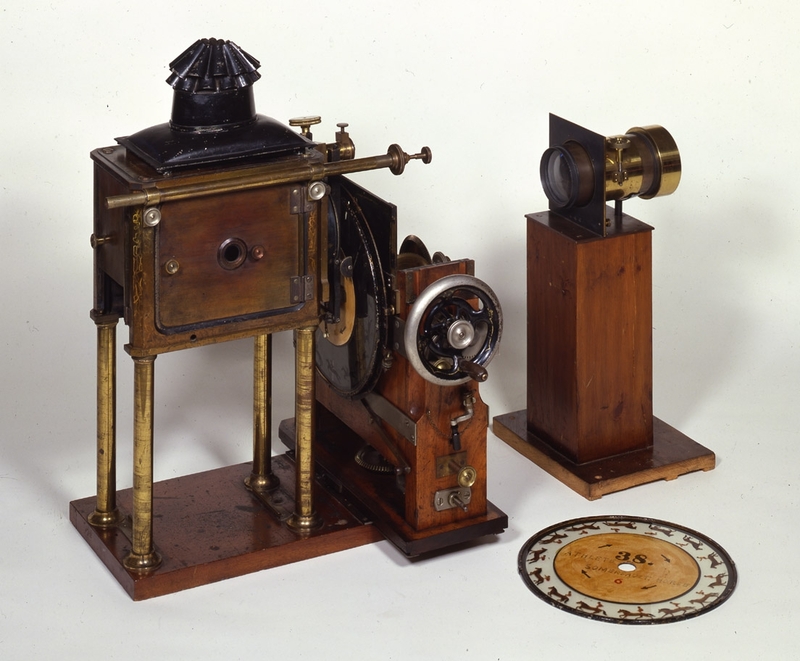 His invention was dubbed the zoopraxiscope which many consider the forerunner to motion pictures. 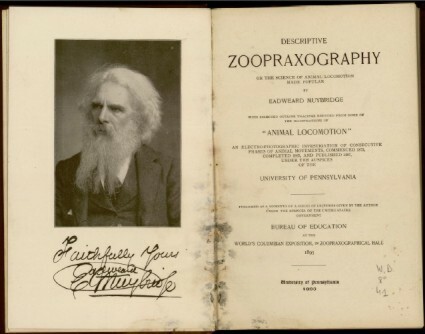 Muybridge took his zoopraxiscope show on the road, wowing audiences first in America and then in Europe all paid for by Leland Stanford. Then in 1882, Stanford financed and published a book that permanently ruptured the Stanford-Muybridge partnership. 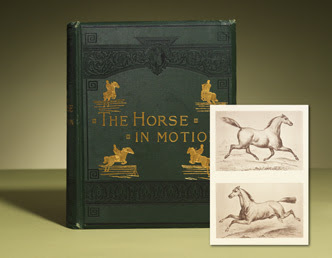 The Horse in Motion as Shown by Instantaneous Photography was written by another of Stanford's friends, Dr. J.D.B. Stillman. In the book, Muybridge's photos were substituted for drawings and engravings based on his photos. Although it centered nearly entirely on Muybridge's work, he was left off the title page and only fleetingly referred to as a Stanford employee. Muybridge felt as though Stanford was trying to rob him of his rightful recognition and sued in court over what he believed was an intentional slight. The case was eventually thrown out, but the friendship never restored. But public recognition of his work with Stanford had already landed Muybridge a two year study with a new benefactor, the University of Pennsylvania. Using 36 cameras simultaneously, Muybridge and assistants photographed animals and people engaged in almost every conceivable activity. 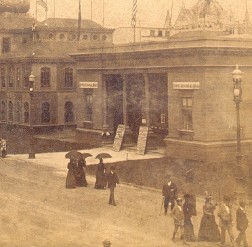 He continued lecture tours through the 1890s, even delivering a series of lectures at Zoopraxigraphical Hall during the Columbian Exposition. 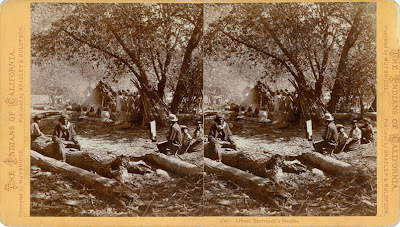 After the Columbian Exposition ended, he returned to England where he published several books on his photographic work and tinkered on a number of side projects. He died in 1904 of a heart attack while digging a scale model of the Great Lakes in his backyard. And just in case you happen to find yourself at the Tate Britain Museum in London, there is an exhibition of Muybridge's work on display until January 16, 2011. The museum even created their very own free iPhone app that allows you to mimic his work with your own camera (downloadable HERE). Very interesting piece of history. Thanks for sharing. I am familiar with the horse at a gallop sequence but never knew about Eadweard Muybridge. His first name fit him - Ead-Weird :) Obviously he had a serious head injury from his fall from the stage coach. Life-changing for him. Thanks for all your work. Really interesting. I remember the "horse in motion" but knew nothing about the photographer. What a great history lesson. We had zoetropes in my first grade classroom, so I've played with them before. Helps to understand the concept. But....the burning question...whatever happened to Floredo? When his mother took ill, a French family cared for Floredo (known by the name Flodie), but by the time Muybridge returned from Latin America, they had placed him in a Catholic orphanage. Upon his return to San Francisco, Muybridge transferred him to a Protestant orphanage and by the age of 10, Flodie was taken in by Mr. & Mrs. David Buck, a ranch hand couple living outside Sacramento. Muybridge only visited Flodie once right before he left California for the Columbian Exposition. He gave him a gold watch and a photo of himself, but never claimed him as a son and after the visit cut Flodie out of his will. Flodie eventually became a handyman and a gardener in Sacramento and in later years was a public drunk. He died in Sacramento when struck by a passing car at the intersection of 5th and I Streets on February 1, 1944. The galloping horse images ( and zoetropes) are ones that are familiar to us all, I suspect, but the stories of the people behind those images are not. What a sad life for Flodie and what a twisted personal life for Muybridge! Thank you so much for this choice of mystery person. What the beautiful pictures!!! Thank you very much! What an interesting history! Thank you for showing! All your doodles are really goooooood! I completely agree with you. Today, many churches in U.K are about to decay and to save those church financing resourcement is important. Griffin Church Loans can be suggested for those. I found your blog extremely useful and helpful for me. Many churches which wanna have need absolute guidance to choose right financier for church loans resourcement.